Since its launch in 1975, BMW’s 3 Series models have been considered a benchmark for compact sport sedans, selling at least 15 million units globally in the past four decades. 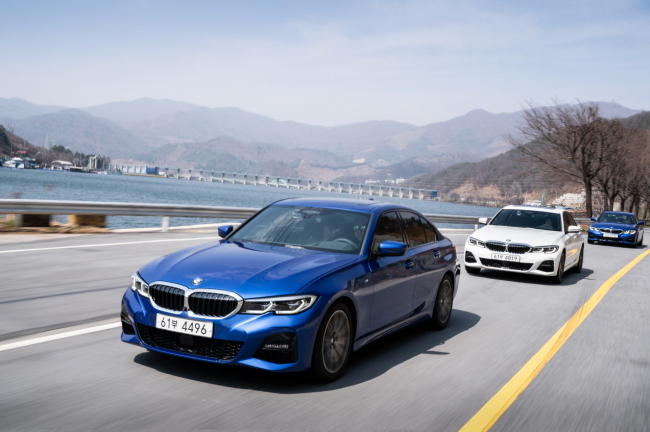 The Korea Herald drove the new 3 Series on a rainy day on a 100-kilometer route from Southeastern Seoul to Yangpyeong, Gyeonggi Province. Despite its slippery road condition, it performed well, proving to be one of the highest-rated in the segment rivaling Genesis G70, Audi A4 and Mercedes-Benz C Class. While picking up speed on the empty countryside road, there was no transmission-related delays. The 3 Series engine delivered a smooth 190 horsepower, more powerful than needed during urban driving situation. The new 3 Series also responded promptly to steering-wheel turns. There was very little body lean while cornering. Switching between different driving modes by pressing buttons on the left side of the console, not only the engine sound was good but the cabin noise was almost at a minimum level -- even while driving in diesel model. According to the carmaker, all new 3 Series models use double-glazed windows for the front-wind screen to reduce the road noise transferring into the cabin. For new 330i luxury model, double-glazed windows are installed on all sides in the front seat. What stood out from the fully redesigned seventh-generation model was not only its new body, but now-standard safety features such as automatic emergency braking and collision warning system. But its lane-keeping assist system was too aggressive. Unlike other sedans that alert the driver with a beeping sound when the car nears the sideline of the road, the 3 Series pulled the car back across the lane less softly. This intrusive lane-keeping function may disturb the driver, for example, when trying to give room to pedestrians on the side of the road. 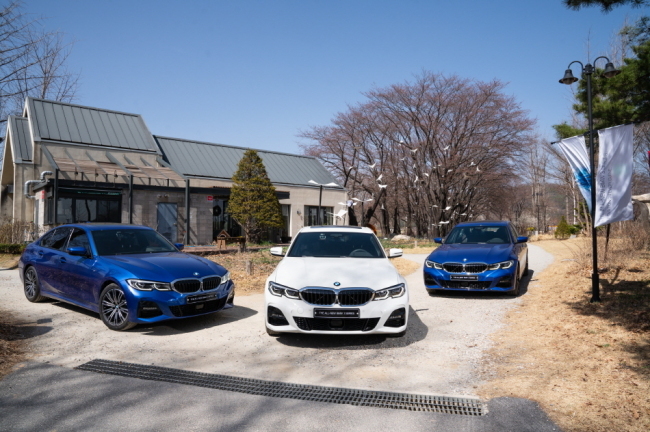 The price tag for the new BMW 3 Series begins from 53.2 million won ($46,697) for the standard 320d model, as some 50 million won has become the new norm for a well-equipped compact luxury sedan. But the price can quickly go up to 65.1 million won for a few typical options.